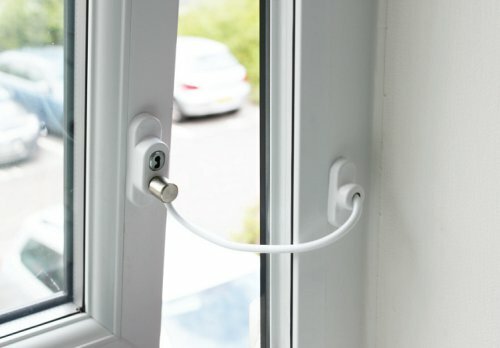 Designed to prevent children and vulnerable people from falling out of windows. Suitable for use on all kinds of windows and door including PVC, Aluminium, Wooden, and metal profiles. Provided with a key so that it can be locked as required and can be opened when necessary. The restrictor cable is 20cm long and can endure up to a 550kg force. Available to order in a choice of colours (see swatch).